In 1962, MIT scientist Steve Russell presented one of the first videogames in history: Spacewar! in which two starships manoeuvred around a star and tried to destroy each other. A year earlier, Raymond Queneau had published Cent mille milliards de poèmes, a potential literature book consisting of ten sonnets printed onto cards, with each line written on a separate strip, offering readers 1014 possible combinations. At first glance, the connection between these two milestones from worlds as different as literature and computer science would seem to be remote, but they are actually the start of a convergence of experiences and interests that have radically changed the way we read and write stories. The sixties marked the start of a series of experiments in both literature and computing that mutally influenced each other and challenged the narrative, physical and conceptual boundaries of literature. This text looks at some of these connections. Some of the experiments carried out by the group OULIPO, which Queneau belonged to, revolved around physically manipulating books in order to generate new textual combinations. These experiments, along with digital videogame interfaces, are reflected in some of the following projects that are pushing the physical boundaries of the book. In Camille Scherrer’s Le Monde des Montagnes, a camera enhances the pages of a print book, bringing the characters who inhabit it to life. The effect is similar to what we can now do with augmented reality, as in the case of the successful app for The Fantastic Flying Books of Mr. Morris Lessmore, for example. Another example is Sensory Fiction, a book augmented by networked sensors and wearable actuators that are triggered as we read so as to emotionally condition our reading. And there is also the project by Waldek Wêgrzyn in which a regular paper book printed with conductive ink connects to a computer through a tiny development board hidden in the cover, allowing audiovisual content to be displayed on the screen. The transformation of the book is such that in some case the book is empty of content, and becomes a mere medium for the augmented reality codes required to animate the digital imaginary. This is the case of WonderBook: Book of Spells for PlayStation 3, for example, a project created in collaboration with J. K. Rowling (author of the famous Harry Potter saga), which was released to the world as “the next step in reading and augmented reality gaming”. Getting back to literary influences, in 1963 Julio Cortázar published Hopscotch, a non-linear novel that tells the story of Horacio Oliveira and can be read in different sequences of chapters suggested by the author himself. In the same year that Cortázar rocked the foundations of the literary world with his ground-breaking work, the scientist Ted Nelson coined the words “hypertext” and “hypermedia” to refer to blocks of text interconnected by links that allow the reader to choose his or her own reading path (the web). Non-linearity and fragmentation are inherent to hypertext navigation. For the first time, hypertext made it possible to present non-linear texts that require the reader’s active involvement in choosing the links that then determine the particular route of his or her reading. A famous example of fiction hypertext, or “cybertext”, is afternoon, a story by Michael Joyce, in which the reader moves through the story by clicking on any of the words in a paragraph. The question of closure that Joyce raises is particularly relevant: “When the story no longer progresses, or when it cycles, or when you tire of the paths, the experience of reading it ends.” Many of these cybertext works are compiled in the two volumes of the Electronic Literature Collection released by the Electronic Literature Organization. In 1962, French writer Marc Saporta published Composition No. 1, a book which had a similar approach to Cortázar’s Hopscotch. The novel was presented in a box containing 159 unnumbered, loose sheets of paper. Each page was a self-contained narrative, and it was up to the reader to decide the order in which to read the story. According to the preface, the choice should be as random as possible: “The reader is requested to shuffle these pages like a pack of cards.” The book was recently reissued by Visual Editions along with an iPad version. Still in the sixties, in 1963 Douglas Engelbart published the essay “Augmenting Human Intellect”, in which he describes the qualities that computers should have in order to increase the cognitive capacity of human beings. A few years later, at “the Mother of All Demos” in 1968, Engelbart presented the first applied version of that theoretical essay, the NLS. This demo, which included the first collaborative real-time text-editor, was the birth of augmented or computer-assisted writing. A few years earlier, in the early sixties, William Burroughs had popularised the Dadaist automatic writing or “cut-up” technique, which consisted of cutting up texts by other authors, newspapers or books, and putting them together like an expanded collage. Once again, literary experimentation and computer science keeping pace. The idea of using computer algorithms to generate texts has aroused the interest of many authors. Catalan poet Joan Brossa explored the subject with his Sextina Cibernética, and if we go back to 1953 we find the computer-generated LoveLetters created by Christopher Strachey. Driven by a lack of romantic inspiration (or by “queer” irony), Strachey – who was a colleague of Allan Turing – programmed the first electronic text-generation machine, which was recently restored so that it cal run on more modern systems. Moving forward to the present, a few years ago a group of programmers spontaneously got together around the challenge of National Novel Generation Month, in which participants write code that generates a novel of at least 50,000 words. The only rule is that they are to write the code and share it, and at least one novel, at the end of the month. Will this movement end up being a flash in the pan? We will have to wait and see. In 2008, a book written by a computer that offered a variation on Leo Tolstoy’s Anna Karenina hit the bookstores in Saint Petersburg. This may remind you of Phil Parker, an economist who generated a programme that compiles information on any non-fiction subject in book form, and has alreadypublished hundreds of thousands of titles. And what about robots, do they write too? Projects that are exploring these lines include The Bible Scribe by artists’ group Robotlab, an autonomous robot that continuously writes out the Bible, or political manifestos, on rolls of paper. Robotlab, 2007. Source: Mirko Tobias Schäfer. 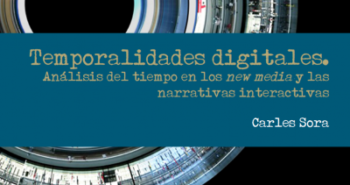 Social networks are also a source of inspiration, as we can see in projects like Serial Chicken, the first Spanish Twitter novel, and Terminálo vos, another example of collaborative writing. And a particularly promising field worth keeping an eye on is that of projects that manipulate the databases and data flows that wash over us everyday on social media sites such as Twitter and Facebook: the “big data” of writing. Artists such as Chris Rodly have already been working with this data for some time, generating small pieces by stealing fragments of texts captured from networks or search engines. The technologies that have allowed us to write our stories in the past have inexorably evolved, as has our way of writing and telling them. The transformation of the ways in which we read and write stories has only just began, and it will also lead to a redefinition of the limits and the meaning of books. At the moment, the most interesting digital writing experiences are springing up around mobile and geolocalisation devices. 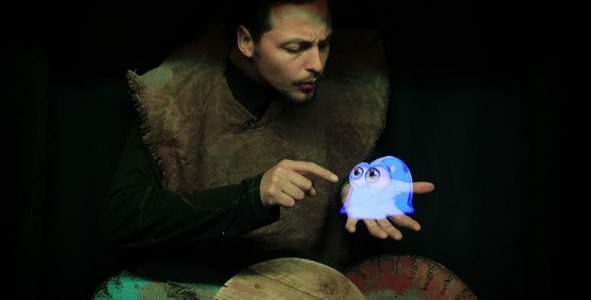 Aside from the adaptation and creation of enhanced books for tablets, or “appbooks”, such as The Invisible Kingdom, American Interior, The Silent History and The Waste Land, a whole series of projects add value by trying to make the most of the interactive capabilities of the new devices. An example is Pry, by Tender Claws, a mobile fiction novel that goes beyond the recreations of enhanced books, and was named winner of the Time Warner’s Future of Storytelling Contest in 2014. Then there are projects such as Strange Rain that call for a new range of reading gestures. These books ask us to push, turn, or interact with both hands in order to reveal the hidden text. The gestures that these devices work with take us into a new kind of relationship to reading that is both physical and intellectual. This may explain the emergence of groups such as P.o.E.M.M (Poetry for Excitable Mobile Media), who develop and write poems to be “explored”, rather than read. Given the mishmash of technological possibilities and literary experiments, we can only wonder where this leaves the more intimate, personal gesture of writing as the physical expression of thought. Does gesture trigger thought? Or vice versa? Could it be that each medium favours a different type of association and a different way of thinking? This is the idea that Joan Campàs explores in the book El hipertexto y los blogs, based on the preface to Philosophical Investigations, in which Wittgenstein says that he is dissatisfied with conventional writing because he finds it inadequate to express his way of thinking. In this sense, perhaps all these new forms of electronic writing open the door to new approaches to writing and thinking.